Aam Aadmi Party parliamentarian Sanjay Singh will raise the issue of shooting and torching of Mahatma Gandhi's effigy in Uttar Pradesh last week, in Rajya Sabha. Mr Singh, who has given a notice to raise the issue during the Zero Hour of the House, said the Modi government's "silence" on the issue is "highly unfortunate". 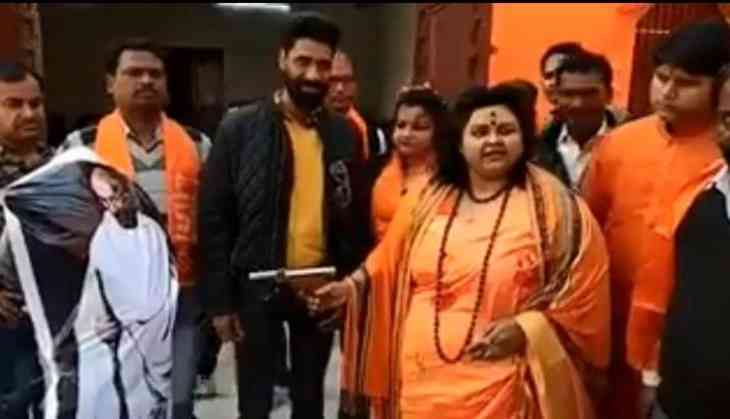 The incident, on the Mahatma's death anniversary, happened in Aligarh, where suspected Hindu Mahasabha members used a toy to shoot at his effigy and torched it in an enactment of his assassination. A video of the incident had gone viral on social media, generating widespread outrage. "The incident exemplifying Talibani culture is highly condemnable but it's unfortunate that Modi government has maintained silence on it," Singh said. Aligarh police registered a case and arrested five persons allegedly involved in the incident.